∼Recently updated to include even more resources! I come from a family of writers. My oldest sister writes books with titles like Autodesk AutoCAD Architecture 2017 Fundamentals . My other sister, Marissa Moss, writes and illustrates children’s books. She also owns Creston Books, a small children’s book press. My brother owns and writes for a neighborhood newspaper, The Potrero View. Then, there is me, I teach writing. I believe our family grew up to love writing because reading and telling stories were always an important part of our lives. Hours were spent listening to my mother’s stories while we waited for my father to finish his errands. Every week, we would look forward to going to the library and selecting a new stack of books; pages promising us new adventures to go on. We grew up loving stories, reading them and writing them, too. To encourage children to enjoy writing we have come up with a list of writing prompts. 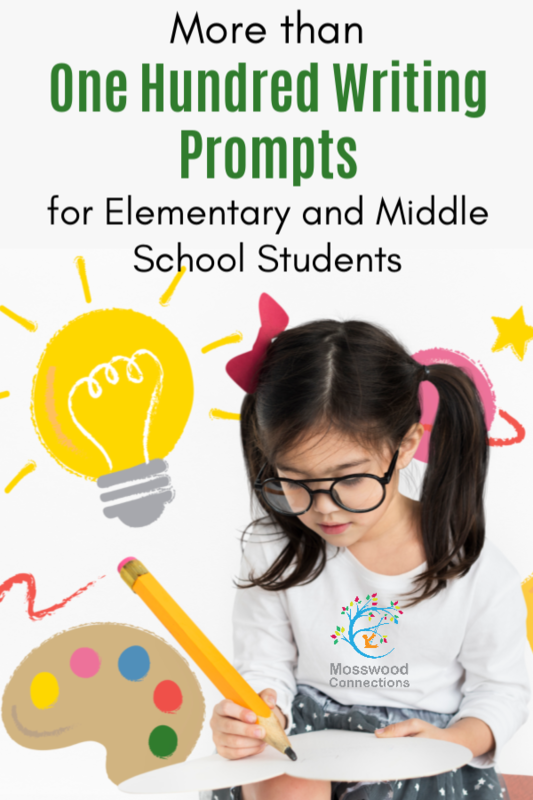 These writing prompts are for students in second grade to eighth grade. For younger students and beginning writers expect a few sentences or more. Older students and more experienced writers should have the goal of writing a page for each writing prompt. Start with some of our free journal pages. Having less space for the writing, along with fun prompts can take some of the stress away for nervous writers. 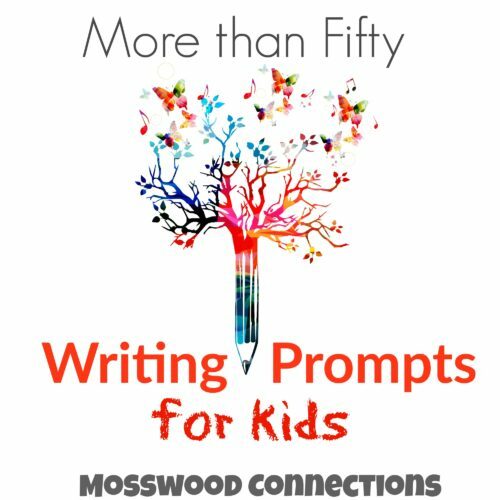 Do some co-operative writing activities with the kids. Co-operative games build flexibility, turn-taking skills and allow you to take advantage of teachable moments while writing together. 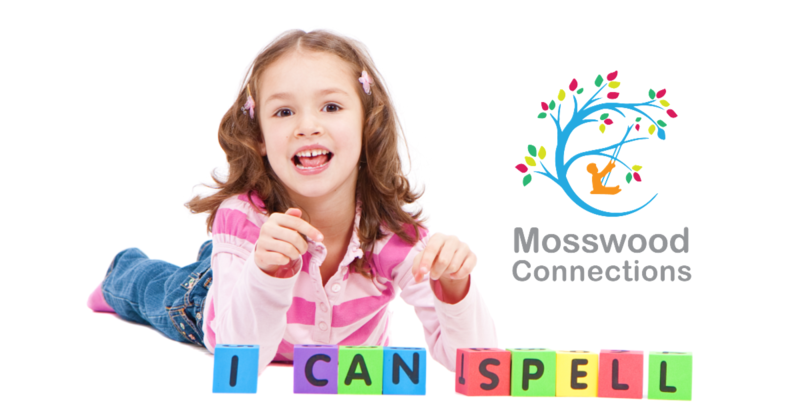 Encourage children to write letters and notes to friends and family. Writing a thank you note is not only good manners, but it’s also another opportunity to instill good writing skills. Start a photo chain letter with friends. 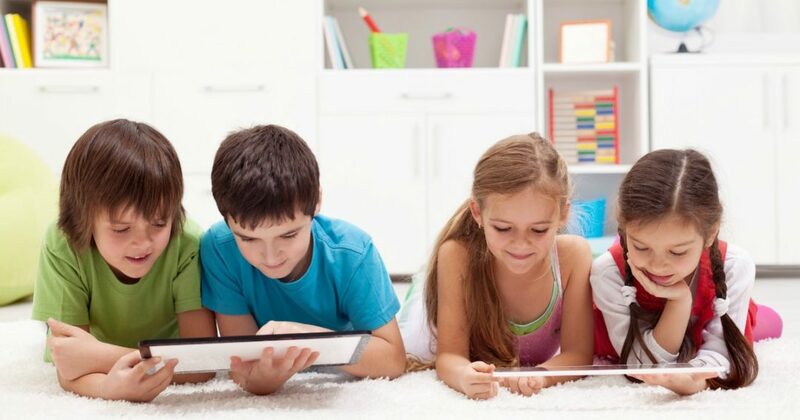 The kids can write captions for their photos and when they get the photos and notes back from their friends that will motivate them to write more. Initially, keep the writing time short. 10 minutes is a good time to start with. But if they want to keep going celebrate! For children with dysgraphia let the kids dictate some or all of the story. Show them how to use dictation software. We use Google Documents speech to text tool. Let the kids write their stories as a comic strip. This is a great way to inspire visual learners. Use story maps with the kids. I have noticed that different templates work with different students. Try a few different strategies until the child finds the style that works best for them. Have the kids make or decorate their own journals. Hopefully, that will motivate them to fill the pages. 1. Describe a dream or nightmare that you have had. 2. What is your favorite toy? Why? 3. Write about the best day of your life. 4. Write about the worst day of your life. 6. Invent and describe a new food. 8. Tell about someone who is a hero to you. 9. If you could meet any book character, who would you like to meet and why? 10. What are three goals that you have? Write about them. 11. What would you do if you were locked inside your favorite store for a night? 12. What would you do if, all of a sudden, you could be invisible? 13. Pretend that you can communicate with animals. Tell about what you would talk about. 14. Write about traveling to the future. Where would you go, what would you see? 15. If you could travel back into the past, what time and place would you travel to? 27. What would you do if there was no more electricity? 28. If you could travel anywhere in the world, where would you go? 29. What makes you feel good? Why? 30. What would be your perfect day? Describe the day. 31. What makes you happy? Why? 32. What makes you angry? Why? 33. If you were the ruler of the world, what would you do? 34. Make a commercial for your favorite toy or product? 35. If you could be an animal for a day what animal would you be? Why? 36. What makes you a good friend? Write about it. 37. What qualities would make the perfect friend? Write about it. 38. If you could make a law that everybody had to follow, what law would you make and why? 39. Write about a time when you met an alien. 40. If you were the parent, what would your day be like? 41. Write about your weekend, what did you do? 42. Write about a mistake that you made. 43. Write about a time when you felt really confident. 44. Imagine that you are traveling to Mars. Write about your experience. 45. What would happen if your toys came to life? Write about it. 46. If you could invent any machine that you wanted, what would you invent? 48. Do you want to be older, younger or the age you are now? Write about it. 49. What makes you special? Write about it. 50. What are you grateful for? 51. You are to tell a person from a distant planet what pollution is. Make that person understand what causes it and why it is bad. 52. What accomplishment are you most proud about? 53. Tell us three things that you like about yourself. 54. What is your hobby? Why do you enjoy it? 55. If you could change one thing about the world, what would it be? 56. What do you think that you cannot live without? Write about why. 58. You have an extra million dollars; you cannot spend it on yourself. What would you do with the money? 59. If you were an animal, what kind would you be and why? 60. What do you want to do when you grow up? Write about it. 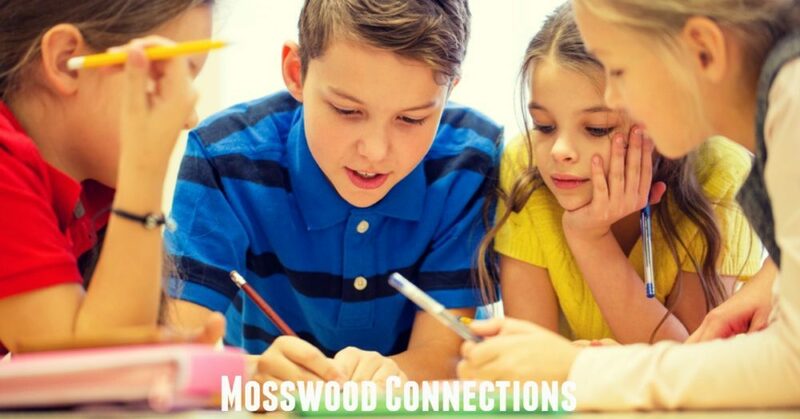 You can download a PDF Version of Mosswood Connections Writing Prompts here. Perhaps once the kids have discovered the joy of writing, they will want to try to be published. After one of our readers asked about resources for where her daughter could submit her writing to be published in publications we came up with a list for ambitious writers. We are looking forward to reading all the brilliant stories that the next generation of writers creates!